Many iPhone X/8/7 users are facing issue in Health App while entering the weight, they are unable to add weight in decimal. 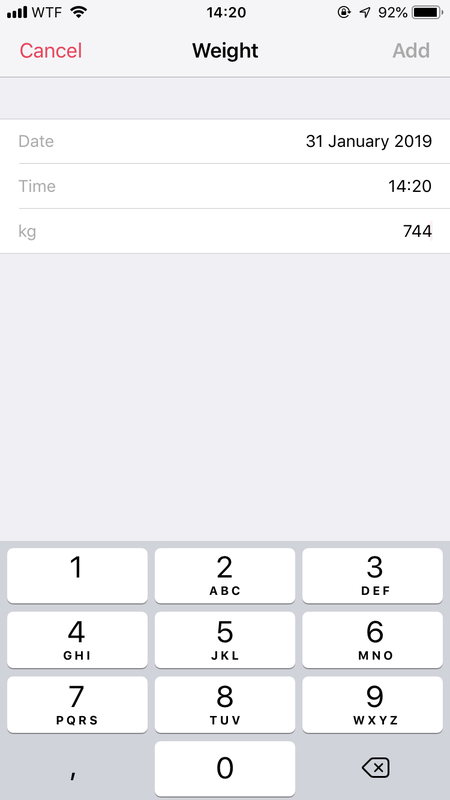 The decimal point for weight tracking the health app is not working and you won’t be able to enter a decimal number weight in Health app on iPhone. The issue is reported in iOS 12.1.3 and iPhone Xs/7. 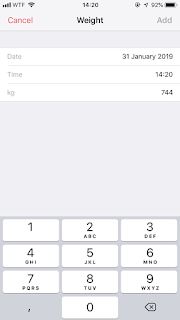 Actual issue is the users facing this issue are seeing comma in place of fullstop/decimal point on the keyboard shown when entering the weight in Health app, please refer to the picture at left bottom corner. So if you enter weight as 62,1 it will be converted to 621 KG. As described this might be a localization issue causing wrong keyboard to load. As a workaround you can enter weight in notes app and copy it to the field as a workaround. Please make sure to update the iOS 12 to latest version as Apple might be aware of such issue and fix decimal issue in Health app in next release of iOS 12.